\"Ett otroligt öppet och naturligt ljud. Röster och gitarrer är i absolut referensklass. ElectroMotion ESL låter stort och maffigt. Basen går djupt och klarar stora orkestrar utan problem. En absolut favorit i prisklassen.\"
The ElectroMotion ESL (EM-ESL) represents a brave new direction for electrostatic loudspeaker design. Featuring a full-sized 34-inch tall curvilinear XStat™ electrostatic transducer the new ESL performs more like a mini-flagship than an entry level audiophile speaker. 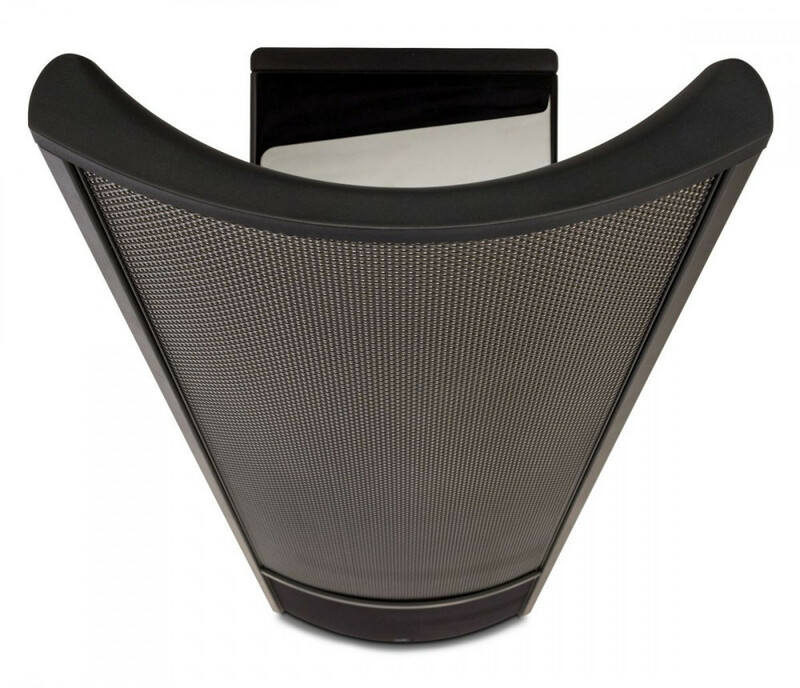 Long time MartinLogan enthusiasts are sure to describe ElectroMotion ESL as the second-coming of the legendary Aerius electrostatic speaker which debuted in 1992 and went on to sell in record numbers. The new ESL, however, boasts 40 percent more radiating surface, a superbly integrated and authoritative bass performance, and a sensitivity rated at 91dB. In addition, the ESL is capable of being effortlessly powered by both receivers and high-end amplifiers alike. 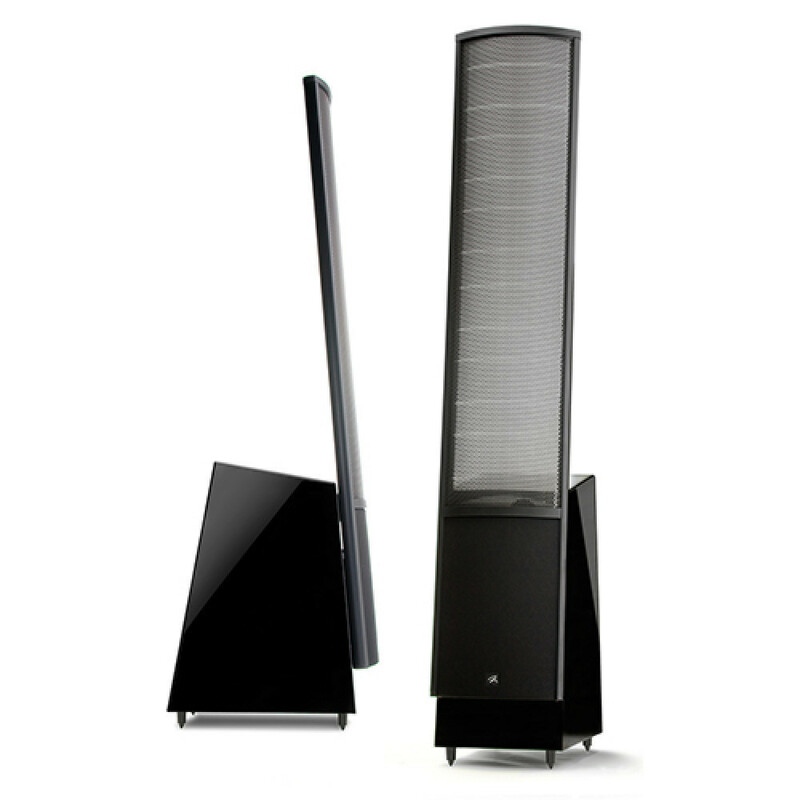 One of MartinLogan\'s original breakthroughs, CLS™ (Curvilinear Line Source) technology, has been an essential ingredient of every electrostatic loudspeaker we\'ve produced—and the ElectroMotion ESL is no exception. Proprietary manufacturing methods enable construction of electrostatic panels as cylindrical sections. Their gentle horizontal curvature solves the problem of obtaining good high-frequency dispersion from a large radiating surface without compromising overall sound quality or reliability. Another key attribute of the ElectroMotion ESL is its naturally dipolar radiation pattern. A true dipole, The EM-ESL radiates sound with equal intensity from the front and back of its diaphragm, but the outputs are in opposite phase. As a result, sound waves rippling out toward the sides meet at the speaker\'s edge and cancel. That and the relatively large size of the ElectroMotion ESL\'s electrostatic panel cause output at the sides to be very low relative to that of a conventional loudspeaker, which in turn minimizes side-wall reflections that tend to muddle sonic detail and stereo imaging. While the reduction in output to the sides contributes to the astonishing clarity for which electrostats are revered, the energy reflected off the wall behind the speaker opens up and deepens the sound. To seamlessly blend audio output from the high- and mid-frequency electrostatic panel to the low-frequency woofer the ElectroMotion ESL features a proprietary Vojtko™ topology filter utilizing custom air core coil and low DCR steel laminate inductors, polyester film capacitors in series, and low DF electrolytic capacitors in parallel. A precise 8-inch high-excursion, perfectly balanced, audiophile grade, doped fiber cone woofer was custom designed exclusively for The EM-ESL by MartinLogan\'s in-house engineering team. 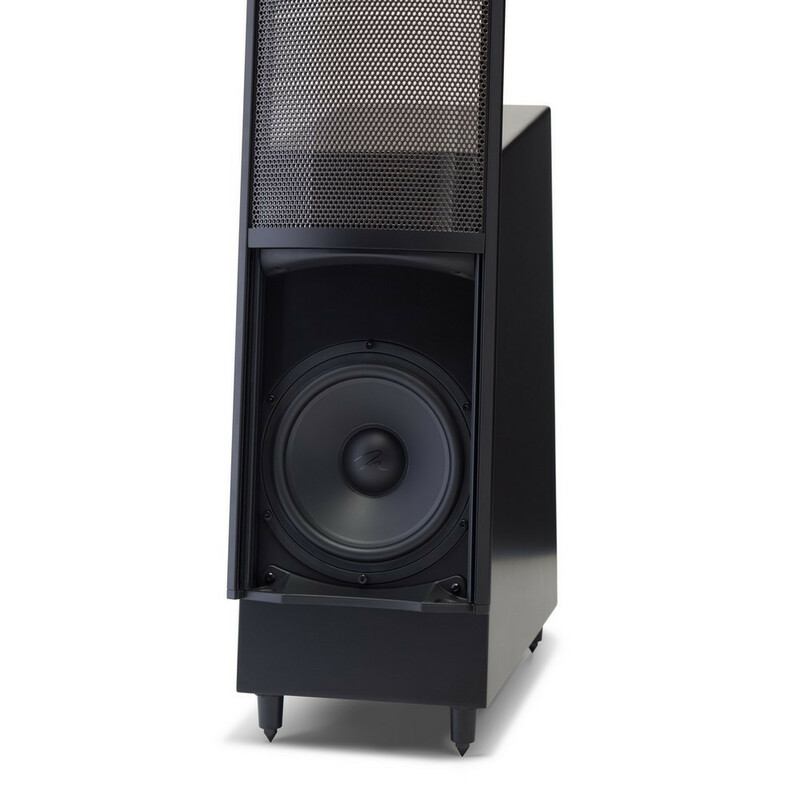 This woofer precisely optimizes cone suspension and magnetic flux field to produce high levels of bass output and simultaneous precise midrange. The custom woofer\'s rigid light-weight diaphragm eliminates cone flexure and maximizes response time to achieve remarkably low-distortion approaching that of MartinLogan\'s award-winning electrostatic panel design. Convenient push-style speaker terminals and curved inserts help guide speaker wire effortlessly into place. The rubber end caps on the terminal are also removable for the use of banana plugs instead of bare wire. The EM-ESL is supplied with sturdy, 1/4-20 ETC™ spikes, which can be used to fine tune vertical wave launch, enhance stability on thick carpets, and create tighter coupling between speaker and floor to provide a tighter and detailed bass performance. Each spike is conveniently covered by removable rubber end caps if you prefer not to use spikes.